With Florida Senate Bill 386 making its way through the necessary committees to get to the floor for a vote, those most vocal in the Muslim community seem to be getting worried it just might pass. Earlier this month, the Council on American-Islamic Relations sent a letter addressed to the national GOP leadership to stop what they are calling “the legislative bullying” by Republicans in Florida who are attempting to pass the bill, titled “Application of Foreign Law in Certain Cases.” CAIR believes the bill to be anti-Muslim; although nowhere in the bill do the words “Muslim” or “Islam” appear. The letter is emotionally charged with the words “xenophobic”, “fear-mongering” and “Islamophobia” and labels those who are speaking out against radical Islam as “anti-Muslim extremists.” CAIR is concerned that many of the local Republican Party organizations have been hosting speakers who are educating their members on the activities of radical Islamists in this country. They have managed to stop at least one such event in Pinellas County recently with this political pressure. 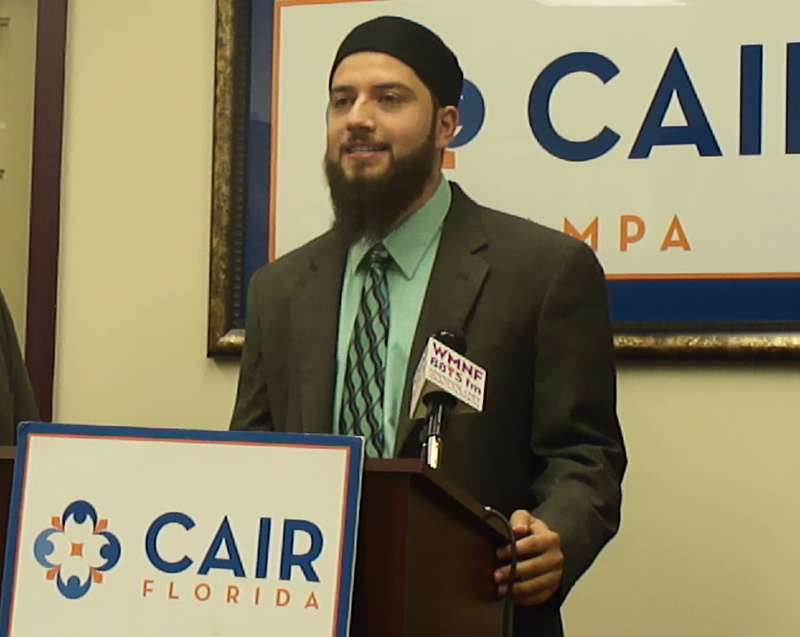 Hassan Shibley, the author of this letter, is Chief Executive Director of CAIR-Florida, and explains “Many may be surprised to learn that Islam is now the largest religious faith in the US after the Christian denominations…” and if the Republican party does not silence those members within the party who are proposing this type of legislation they risk alienating a large segment of a rapidly growing group of politically active American voters. So let’s understand CAIR’s argument. There have been no cases in Florida courts where the proposed bill would have been applied; therefore there is no need for the bill.While Shibley acknowledges the U.S. and Florida Constitutions already protect the rights of American citizens, he believes SB 386 “violates the Bill of Rights by limiting the free exercise of religion.” How would this bill limit the free exercise of religion, unless the free exercise of religion somehow violates the constitutional rights of an individual? Is the concern that marriage in Florida is limited to one man and one woman and does not permit polygamy? Or perhaps that a woman is considered less than equal in the Muslim faith but would be entitled to equal rights under the laws of our state and federal constitutions? Maybe the marriage of underage girls permitted under Islam but not permitted by our government is driving this opposition. Perhaps CAIR should clarify exactly what religious practices they believe this bill would limit so we can understand their argument. It could be argued the Bill of Rights was a solution in search of a problem; written to keep the federal government from violating the rights of the individual before anyone’s rights were violated. It codified the inherent rights of the individual and prohibited the government from violating these rights. Perhaps CAIR believes in our Constitution to protect individual rights against government violations, but does not believe it should apply to those living under foreign or religious laws within this country. We cannot have Americans living under different laws within the United States. Florida State Senator Alan Hays said “we jealously respect and guard [our] constitutional rights.” We want everyone in America to enjoy the freedoms so many of us take for granted, and so many more around the world will never know. Countries in the European Union and the UK have tried to “coexist” with foreign laws. We see what is happening there and we would be wise not to make the same mistake. We must support the passage of Florida SB 386.